ParkingRhino is solving operators and parking facility owner's problem of business automation, revenue management and real-time and historical information parking usage of parking lots. ParkingRhino's Smart Parking Platform combines the power of Mobile, IoT, Machine Learning, Artificial Intelligence and Big Data Analytics to deliver value to its parking operator partners and parking facility owners. By leveraging Business Intelligence tools as well as its patent pending parking availability prediction algorithm, ParkingRhino provides a wide range of rich information to its parking operator partners and facility owners. ParkingRhino's Operator Desktop System helps parking provider to manage any organized parking like shopping malls, hospitals using the parking management web app via terminal monitor system. The terminal monitor system makes use of geo-fencing and deep integration with existing access control hardware like parking meters, cameras, boom-barriers and sensors to deliver real-time occupancy information. ParkingRhino Operator Mobile App help parking attendants to manage parking reservation on off-street and off-street locations parking locations. 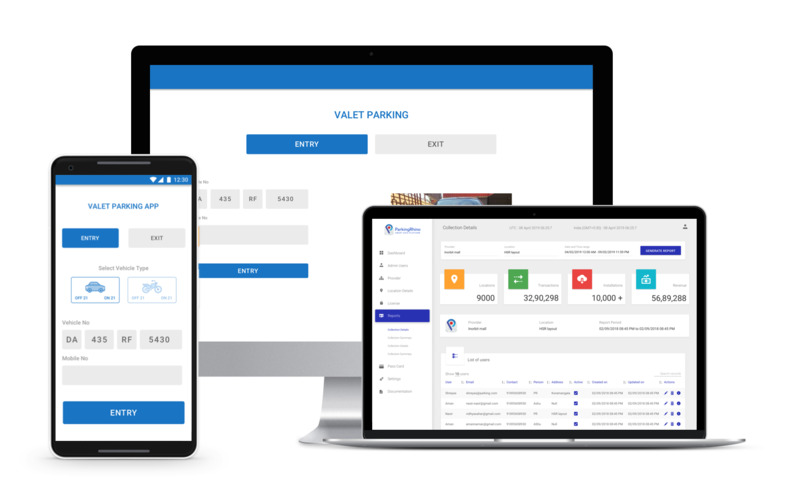 ParkingRhino helps parking provider to go online using the mobile app-based plug and play parking management system which connects existing access control hardware like parking meters, cameras, boom-barriers and sensors to deliver real-time occupancy information. ParkingRhino Reporting portal empowers every parking operator to manage all of its parking information online and visualize all parking data information in one console. The reporting portal is a real-time centralized data management system to track occupancy, revenue, duration and advanced BI data analytics.